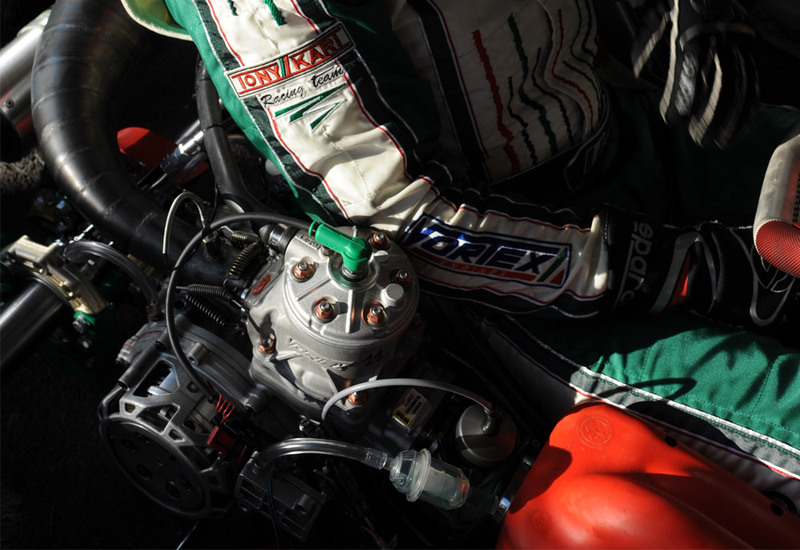 On the occasion of the WSK Euro Series our engines had a winning beginning. At Naples International Circuit our RAD and RVXX engines won in KZ1 and in KF3 category, routing the experienced competitors in one of the most selective championships. Weather conditions during the week end of the WSK Euro Series have been changing at all times, at the beginning and until Saturday the sun was shining, the track was well rubberized and with a good grip. But on last day the rain has not let up drivers, making the track wet since the first round of the day. In both conditions our teams, official and unofficial ones, always fought for the success, moving up to the top positions. Naples International Circuit (1790 meters long) is a good compromise between fast sectors and a mixed ones. In such difficult conditions it is determining to have good driving skills together with significant speed performances. A clear data is the maximum speed obtained by KZ1 chassis in the fastest sector of the track, over 155 km/h. In the top class, KZ1 category, we obtained an exemplary double success at the end of the very Final on Sunday, actually Dreezen and Ardigò gained the two first positions, opening up a big gap on the other competitors. Before the win, our drivers raced at the top obtaining not less than four victories. In the cadet class, KF3 category, the young French driver Ocon (FA Kart) got the podium in the Final, together with Oikeeffe (FA Kart) who also won the pre-Final. In KF1 category Camponeschi (Tony Kart Racing Team) achieved the Super Pole and we also got a double success during the heats. Unfortunately, during the first Final, a little inconvenient obliged Camponeschi to stop. In race-2 a few collisions prevented our drivers D’Agosto and Camponeschi to give their best. Bailly and Groman with their Kosmic Kart-Vortex showed off during the Final, and for the Belgian driver the podium has been the prize. As well as in KF2 category with Sendin and in KZ2 with Doubek.